One of the most popular and beloved prayers in the world, the Serenity Prayer has helped millions of people let go of anxiety and focus on the things that are in their control, rather than obsessing over the things that aren’t. Whether you’re dealing with addiction, divorce, illness or something as mundane as a flat tire or a cranky toddler, the Serenity Prayer points a way out of feeling stuck. Although it addresses God, it has been meaningful to people from a wide variety of religious backgrounds, as well as those who don’t belong to an organized religion. God give us grace, to accept with serenity the things that cannot be changed, courage to change the things that should be changed, and the wisdom to distinguish the one from the other. Sifton says her father must have come up with the basic idea of the prayer earlier than the family realized. And wisdom to know it’s me. 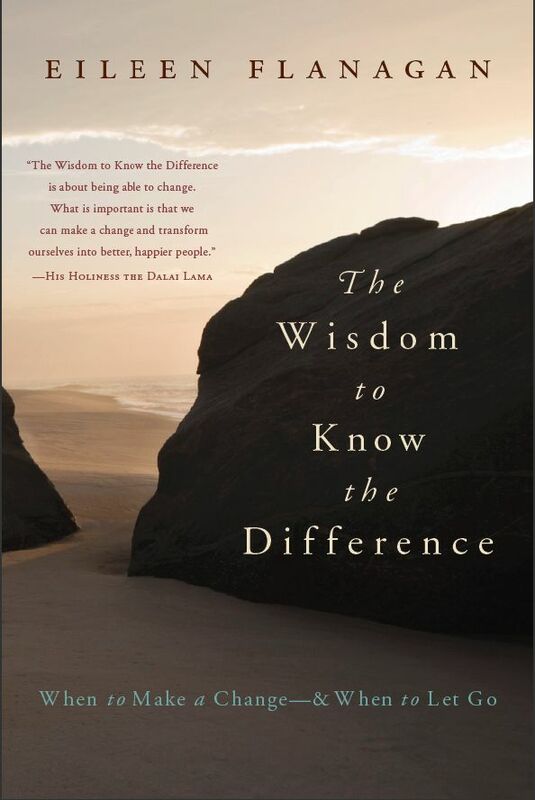 More of Eileen’s ideas can be found in her book The Wisdom to Know the Difference: When to Make a Change–and When to Let Go, which has been endorsed by the Dalai Lama and won a Silver 2010 Nautilus Book Award.